Consider making a donation to Global Research. 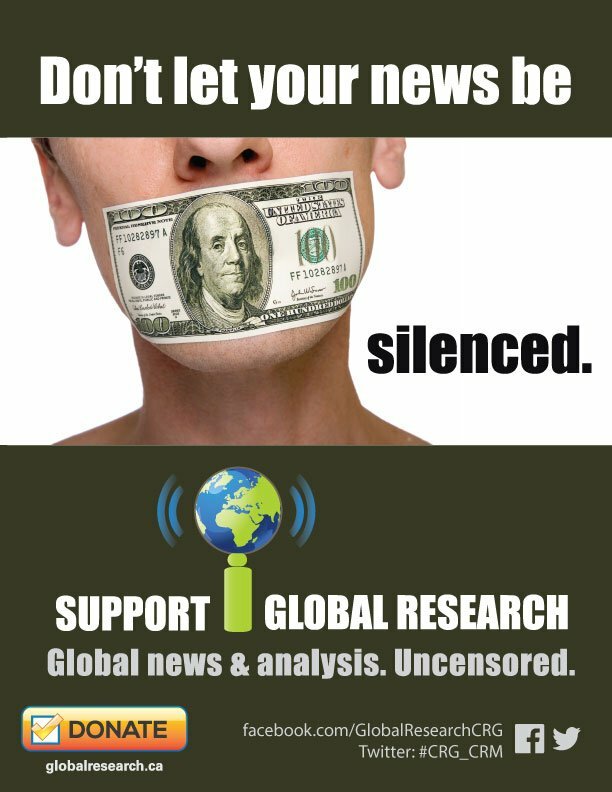 Don’t let your news be silenced. You can also browse our Online Store and see available materials to give you in-depth understanding on the important issues of globalization facing humanity today. Please share today’s selection of articles far and wide. Anti-Trump, anti-Russian fundamentalism emanates from the heart of “The Resistance.” Fundamentalism—meaning strict adherence or imposition of the basic principles of any theory, politics, or religion—is one aspect of totalitarianism and/or fascism, but I’m not using those words because we’re not there yet, or at least not domestically. I can still write this without getting arrested. A top-rated lawyer who has beaten the Food and Drug Administration more times in court than any other attorney is calling on the Trump administration to launch a probe into possible links between commonly-prescribed psychiatric drugs and the epidemic of school shootings. Gaza: Who or What Has a “Right to Exist”? Operation Cast Lead was preceded by Israeli assaults that destroyed Gaza’s infrastructure, cruelly named 2004 Operation Rainbow, 2004 Operation Days of Penitence, 2006 Operation Summer Rains and Autumn Clouds, 2008 Operation Hot Winter. After the democratic election of Hamas in 2005, Israel imposed a punishing blockade which UN Special Rapporteur John Dugard noted was the first time an occupied people was subject to sanctions and that were a violation of major UN Security Council and General Assembly resolutions and a ruling by the International Court of Justice. Fire and Fury” was not invented by Donald Trump. It is a concept deeply embedded in US military doctrine. It has characterized US military interventions since the end of World War II. All of the mainstream Western news sources dealing with the war on Syria have been discredited. This helps to explain why the mainstream news stories amount to criminal war propaganda.